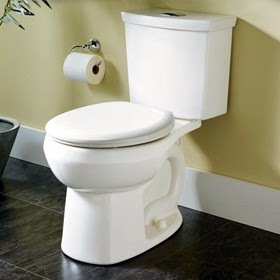 Becoming the Ultimate Housewife: How To Clean a Toilet and rid of Odor! Sometimes our toilets can get very smelly, even if we clean it regularly. sometimes its just hard to get that bad smell to go away. This smell comes from under the toilet seat, so no general clean is going to get it. it comes from build up getting underneath, yes such as pee. If you have a young boy in the house you know its got to be bad. On most toilets you can just unscrew the toilet lid from under neath. Clean & Dry off Lid and Place back. How do you clean your Toilet? Very nice tips. I think this is very simple to clean the toilet. Thank you for sharing this with us. Awesome tips for the cleaning of toilet. These are really useful. I appreciate your sharing. Thank you so much to make us aware of these tips and knock out the smell from toilet. Good ideas. Keep sharing such a useful post. Very useful tips, Thanks for sharing this information with us. This is very good idea to clean a toilet properly. The toilet is very essential in our daily life. If we never know about the toilet I think the environment pollution increases day by day. Nowadays there are lots of modern toilets find in the market place.